Schertz draws in people and households of all types. Old, young, big, small—the city’s residents are varied and diverse. But in the last few years, Schertz has seen an uptick in one type of resident, in particular: the Millennial. Made up of those born in the early 1980s to the early 2000s, the Millennial generation is a unique one—and one that’s been hesitant to jump on the homeownership bandwagon. It seems Schertz is bucking those trends, though, and dozens of today’s youngest buyers are flocking to the city. 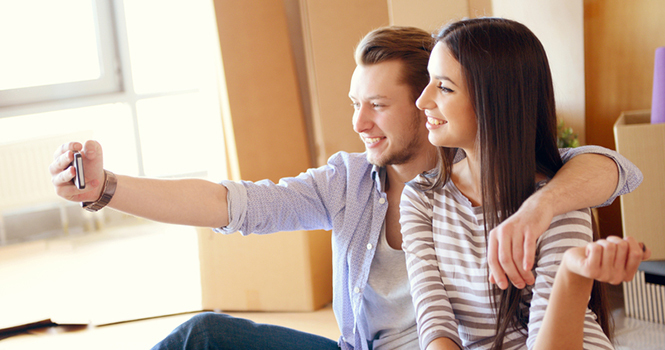 First and foremost, Millennial homebuyers are on the lookout for a good deal. After all, they’re struggling with more student loan debt than any other generation that’s preceded it (about $37,000 per person, according to Student Loan Hero), and they can’t afford to cover hefty monthly loan payments on top of a mortgage, too. They want homes that are affordable, manageable and don’t come with too many added taxes, costs or expenses. Fortunately, Schertz offers just that. The city boasts properties in a variety of price points, including many starter homes in the $100K and $200K range. Movoto even named the city one of the top 10 most places affordable in the nation. Buyers in the Millennial generation aren’t just looking to clock in and clock out; they want jobs they’re passionate about and believe in. Though Schertz itself is a small town, its job market is quite healthy. A number of big-name companies call Schertz their home (Express Lube, GE Oil & Gas, Evestra), and the city boasts a busy landscape of stores, restaurants and service providers of all types. To top it off, Schertz is only a quick drive away from the major markets of San Antonio, Austin, New Braunfels and more, meaning even more opportunities for Millennial homebuyers. Recognized by the Texas Education Agency, the Schertz-Cibolo-Universal City Independent School District is one of the top ISDs in the state. Though most Millennials might not have kids at the moment, many are making their homebuying decisions with their future offspring in mind—and local school quality is a big part of that. Most Millennials want to be near big cities, where there’s plenty to do, see and experience. But actually living there? That’s a different story. Big cities come with bigger prices, not to mention serious traffic, noise and crime rates—all things Millennials are averse to. That where suburbs like Schertz come in. Conveniently located just minutes from big cities like San Antonio and Austin, residents get all the amenities of the urban places they love, while still enjoying the safe, affordable lifestyle they dream of. Schertz is a pretty tight-knit place, and it really fosters community among its residents. The city hosts regular (and free) festivals, jubilees and celebrations, offering plenty of opportunity to have fun, socialize and connect with others in the area. The Schertz Jubilee is just one example; an annual Independence Day event, the Jubilee includes a 5K, a carnival, games, entertainment, food and more. There’s even a fireworks show to close out the night. As Schertz continues to grow, so do the opportunities it affords its residents. New employers move to Schertz every year, and the city expands and grows with each new development and resident it gains. For Millennial homebuyers, the city offers not just a great place to live now—but one that’s great for many years (and even generations) to come. This kind of promise is rare in today’s fast-paced society, and Millennials are recognizing that. Whether you’re a Millennial, a Baby Boomer, a Gen Xer or somewhere in between, one thing’s for certain: There’s something here for you in Schertz. With a solid job market, good schools, affordable housing and great promise for the future, it’s a place where homebuyers of all shapes and sizes can build a life. Want to see if Schertz is right for you? Need help finding a Schertz home that’s in your price range? Contact the Claus Team today. Our Schertz experts can create a personal property list just for your needs, preferences and budget constraints. Call us now, and we’ll get started right away.